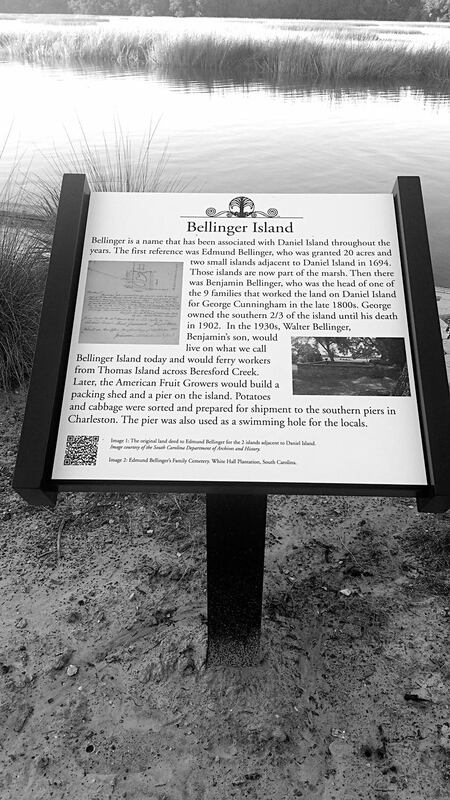 Bellinger is a name that has been associated with Daniel Island for hundreds of years. 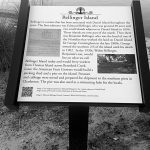 The first reference was Edmund Bellinger, who was granted 20 acres and two small islands adjacent to Daniel Island in 1694. Edmund was born in England in 1657 and would settle in Charles Towne area in 1686. He would receive his first land grant from John Locke, who was Lord Anthony Ashley Cooper’s secretary, one of the Lords Proprietors. We know the name John Locke today for he is the one that authored the Habeas Corpus Act, which states that an accused man cannot be held indefinitely in prison without a trial. Edmund would go on to receive four baronies each, comprised of 12,000 acres on the head of the Ashepoo River. Where Edmund lived and is buried today is known White House Plantation. Edmund received that land in 1702. Descendants of Edmund would maintain ownership of White House Plantation through the early twentieth century. The family plantation was ultimately lost to a fire. Edmund was very involved with the running of the Carolina Colony. He was Surveyor General, Deputy Judge of the Court of Admiralty, Member of the House of Commons and Receiver General. He was also the commander of a ship called the Blake, which was captured by the French. Edmund was taken to France but was released and would be back in the colony by 1697. Edmund did have a son, also named Edmond and we know that his son supported the patriot cause by providing the continental army and local militia with supplies from his property on Daniel Island. The next two Bellinger names associated with Daniel Island were Benjamin and Walter, father and son. They both would live and work the land on Daniel Island. Benjamin worked for George Cunningham, who used his land on Daniel Island to grow Sea Island cotton and to raise livestock for his butchery business in downtown Charleston. Relatives and descendants of the Bellinger family are buried in the Simmons Cemetery which is located near the Daniel Island Real Estate Sales Center.